I've been reading Newitz's journalism for about 20 years (or at least it seems that way) and I'm certain she's smart and knowledgeable. The book's science is good, and it asks the right big questions about the future. There's just something not quite "literary" in the writing, and maybe I'm asking too much, but that's what I keep looking for, some smart speculative fiction that's also decent artistically, that's literature. 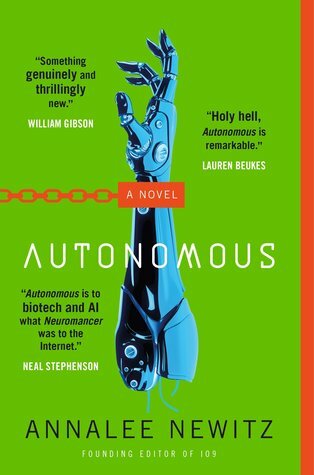 Sign into Goodreads to see if any of your friends have read Autonomous.